As a developer, we always run on the infinite loop, where we need to learn new things and deploy on the current project and at the same time maintain the robustness of the current system. Artists have the liberty to erase the painting if he is not satisfied with output and start over again. Writers can strike down the words which don’t fit with the overall writing. While developers can also delete the buggy codes and tweak it to flawless, the real impact can only be felt after the code gets shipped. One would never know how things change. Let us get back to some geeky stuff. Recently we got an opportunity to work on a Shopify eCommerce store for one of our customer who sells sports and outdoor apparel goods. As a pioneer in outdoor apparels, they have customers across the globe. We all know every customer base is unique. Winners are the ones who understand their user needs and provide the most personalized digital experience where they are introduced to right product with right messaging. Our client wanted to provide best-in-class online store experience and one of their strategies is it to build a multilingual website where shoppers can choose the language with which they are comfortable. To start off, they wanted to have English and French as options. Since we were developing their store in Shopify platform, we chose Langify app for language translation. That’s when we hit our roadblock. After integrating Langify app, visitors have the option to choose their preferred language. Instead of choosing from the inbuilt translator, if store visitor selects the chrome browser add-on Google translator we were running into a dev error. Our web page stopped responding once we choose inbuilt google translator. These are the steps we took to narrow down the error. 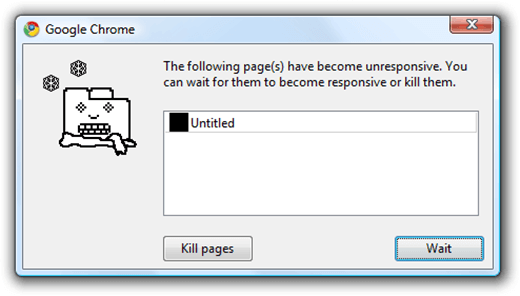 Most of the time, web pages become unresponsive when servers fail to respond to request raised by the browser. So we checked whether our server where we hosted our files failed to respond. Luckily that was not the case, our files are hosted on a reputed hosting server and it responding actively. When we opened the site in chrome, it showed the default google translator add-on along with langify app. On clicking the Translate button in default translator, the page got hanged and unable to proceed further. So we removed the google translator from our site by adding a piece of code in Shopify liquid file <meta name=”google” content=”notranslate”> and everything worked fine. This is a good learning for us, thanks to the client’s requirements. The key takeaway from this blog is that if a problems knock you down, delve deep right into the cause of the problem no matter how much time it takes. Finding the cause is pretty much enough for you to start scouting for solutions. As we are planning to increase the frequency of technical blog in coming days, please subscribe to our blogs to get insights straight to your inbox. Feel free to share your thoughts in comment section. Govind is a Software Developer at DCKAP and passionate to work in both Magento and Shopify. He is a technophile guy. For him, coding is as much fun as playing a board game. He loves to watch comic movies and listen to songs.